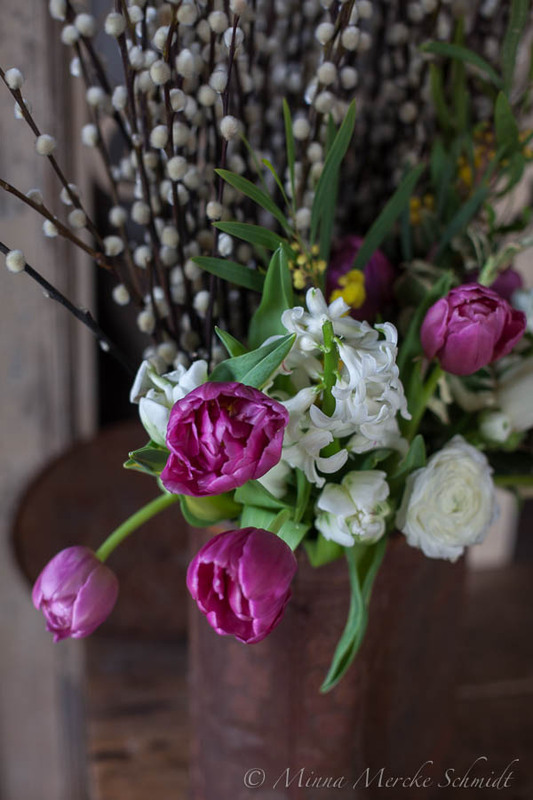 Whether you have tulips with or without bulbs it’s so easy to find different ways to make bouquets and flower arrangements with them. 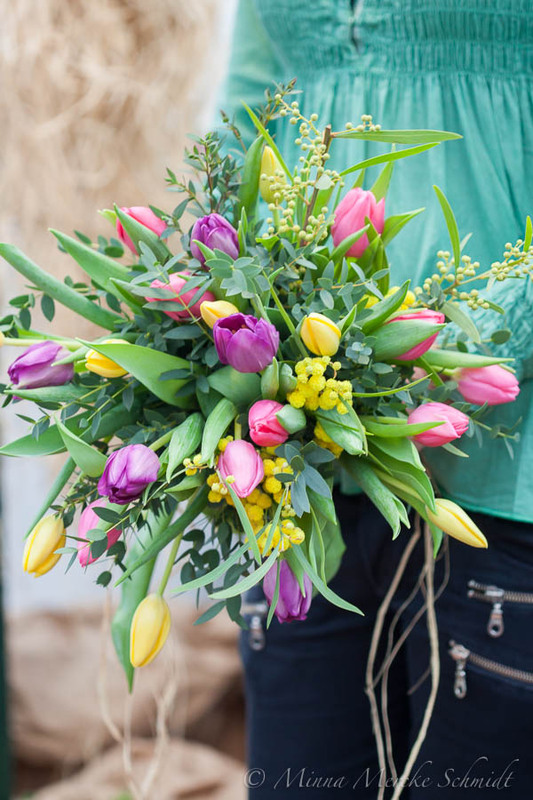 Above tulips with bright yellow mimosa and eucalyptus. 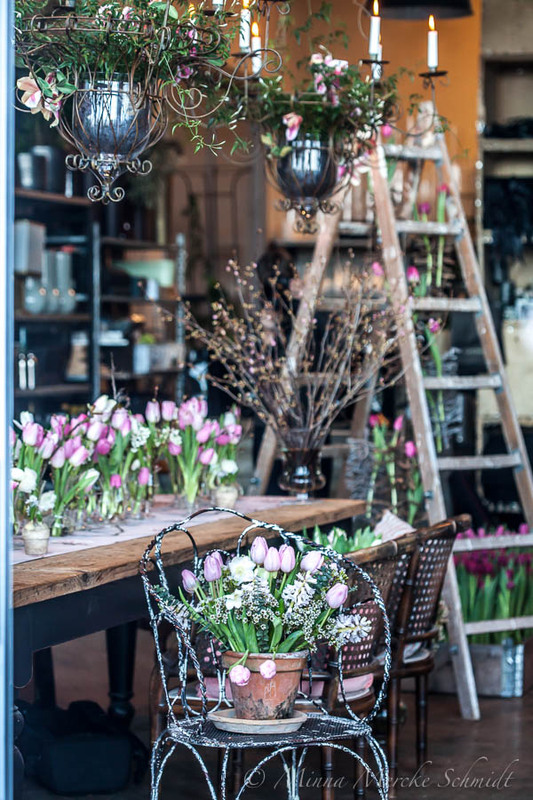 A bit different way to display your tulips. 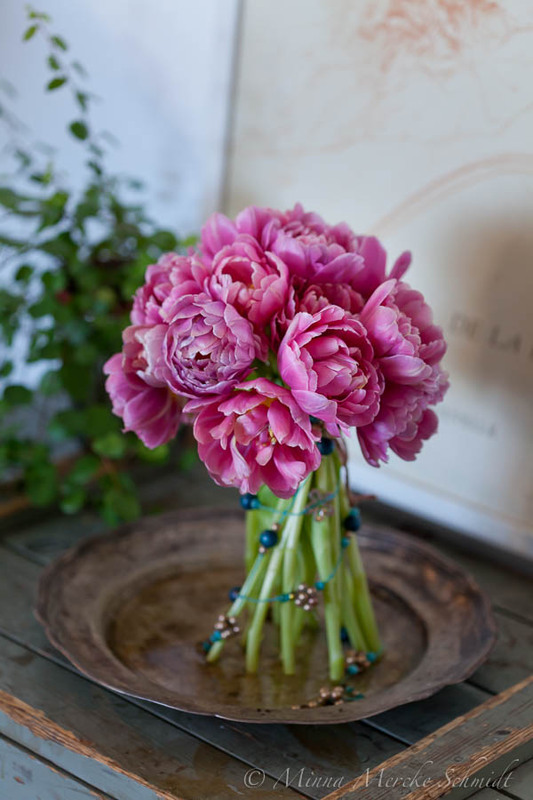 Remove the leaves and tie the bouquet 5 cm under the flowers. Decorate with a necklace if you want. Place on a plate with water. Here some tulips with bulbs. Arrange in your hand (or see video here)and the tie with a piece of clothing or robe. Place on a plane. Water moderately, the bulbs don’t like water. Simple bukett with willows and Chamelaucium uncimatum. 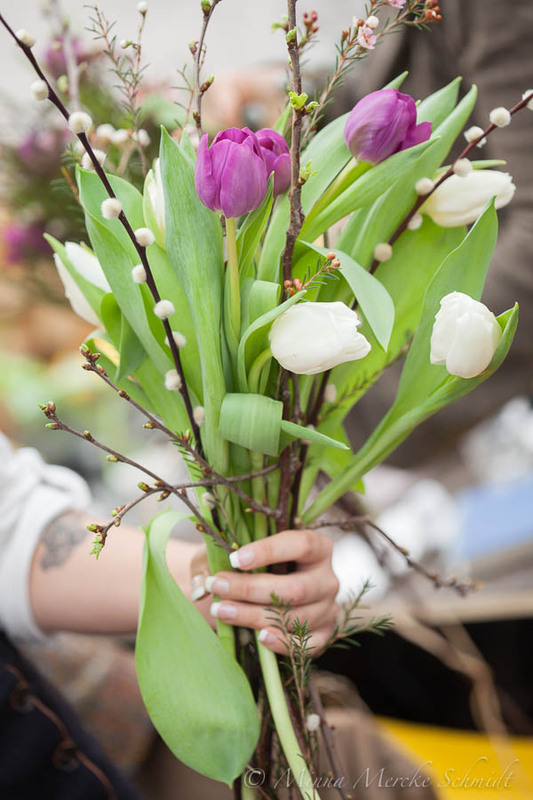 Here the tulips together with blueberry branches. 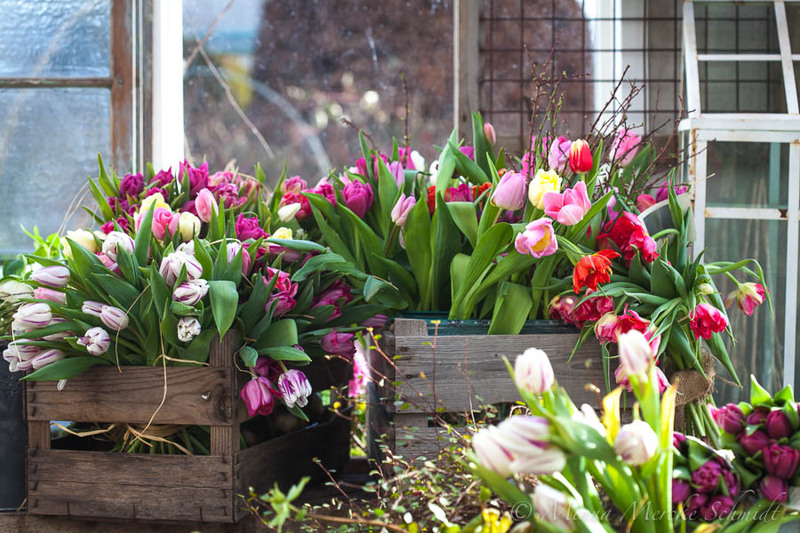 Take a tour in your garden and try to find something that goes well with your tulips. I found these colorful leaves of Eonymus. in Malmö in an event arranged by Blomsterfrämjandet. 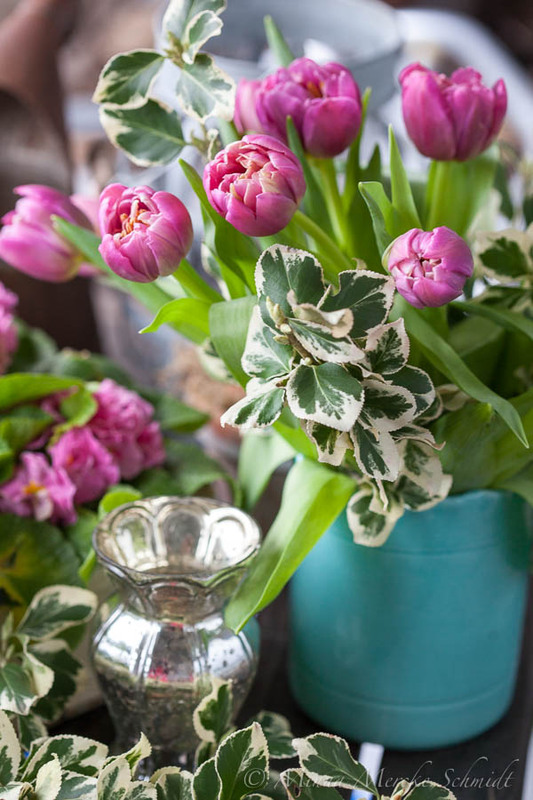 Why always use a vase when you can use a beautiful pot with charming patina?! 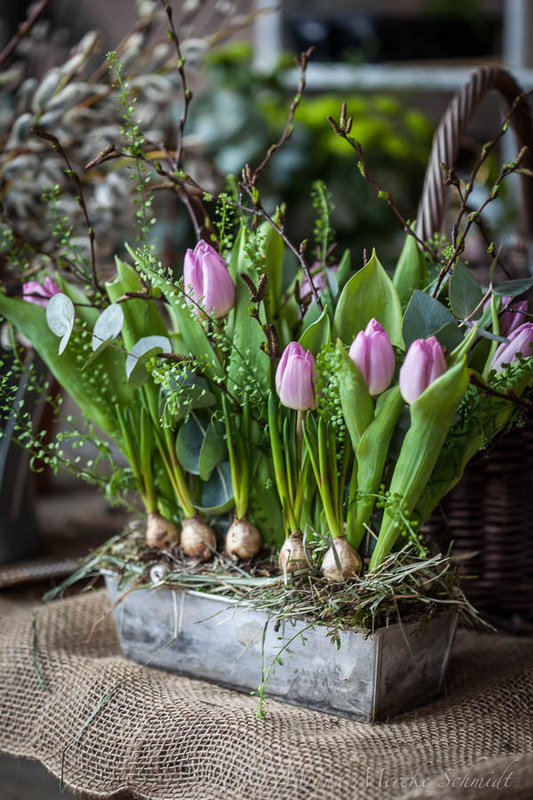 Build your tulip arrangement in oasis och place a glas of water in the pot and put flowers in there. 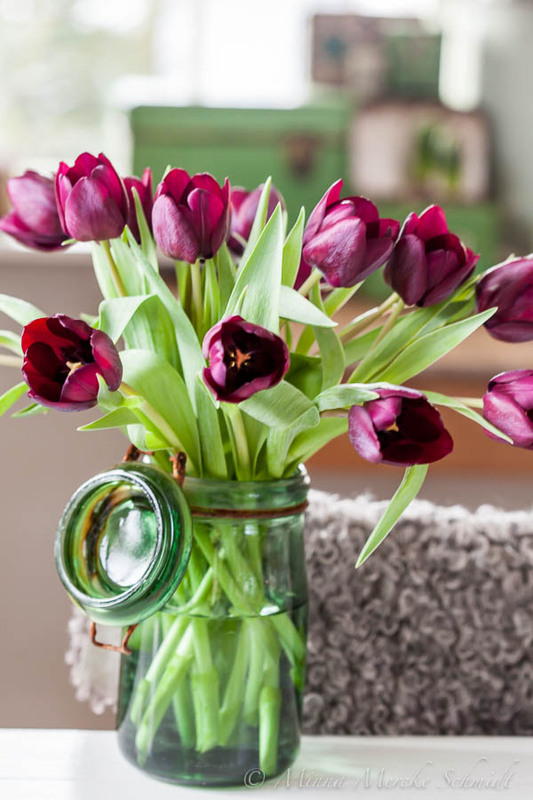 In this arrangement I’ve used cut tulips and mascara on bulb.Fisrt place oasis in your container and then with tulips and greens. 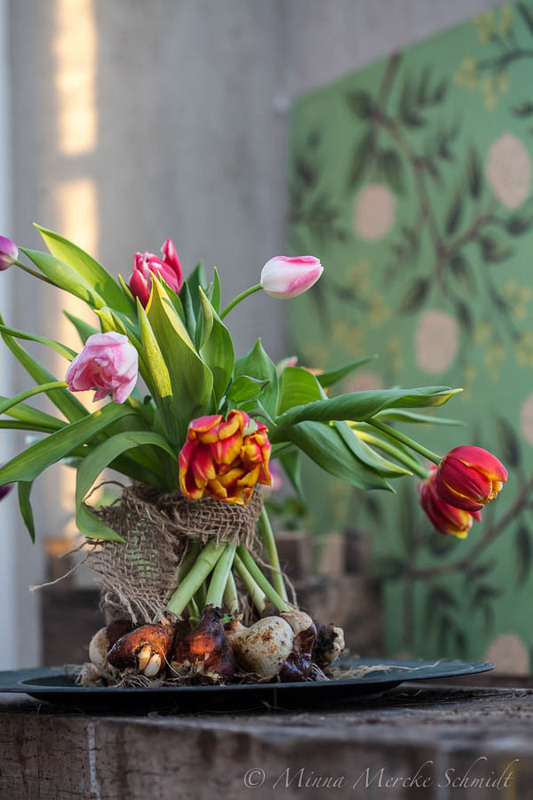 Then stick a toothpick in the botton of the bulbs and stick them in the oasis. Decorate with dry grass. 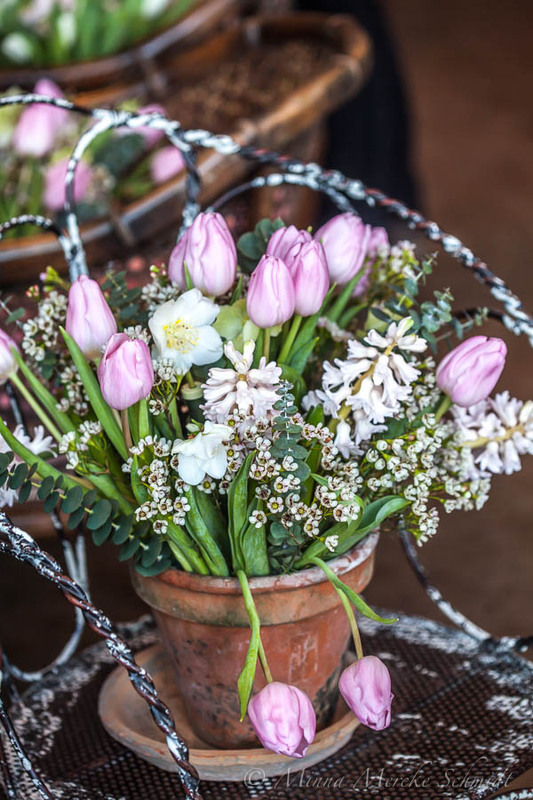 Here tulips together with hyacinth and ranunculus, mimosa and lots of willow buds. Det är så härligt med tulpaner!! Dessutom kan de ge så olika intryck, stämning, bara beroende på vilken färg/färger man använder. Hej Meta! 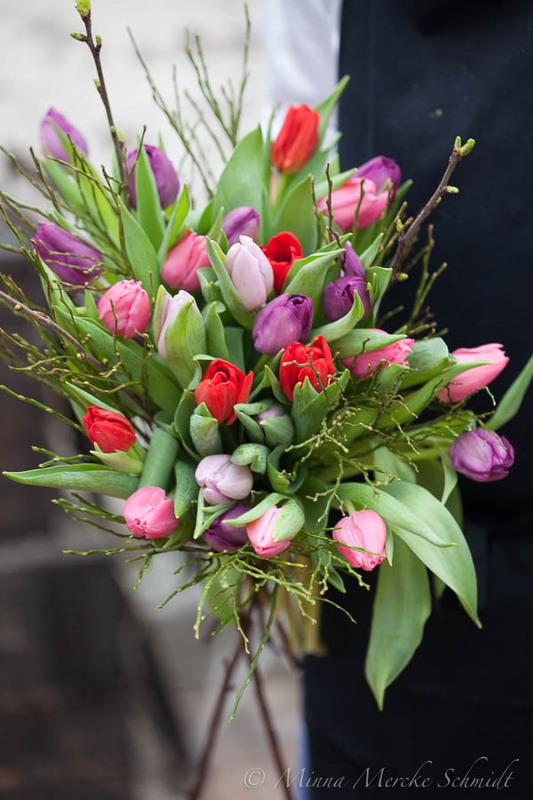 Tusen tack, hoppas du också får ett fantastiskt år med mycket glädje, kärlek och blommor!